At home, because I have a cat, I don't have many indoor plants at all. So, at work I try and surround myself with as much greenery as I can. 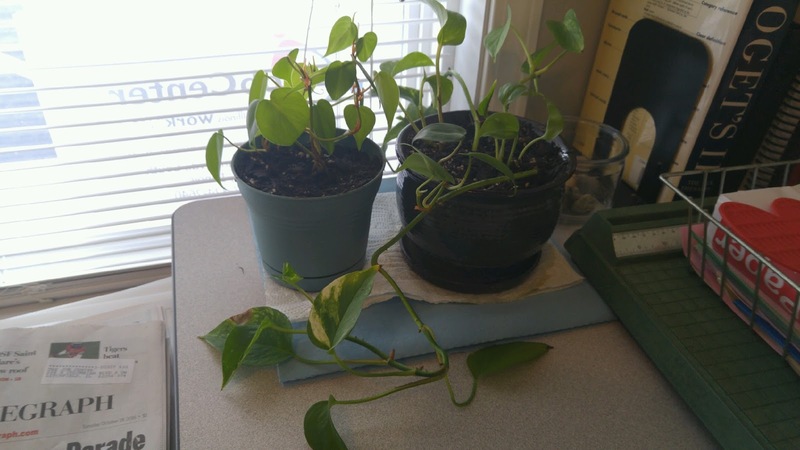 These two philodendron were in water, growing roots, as I had cut them off other plants. I finally got around to buying potting soil and potting them up. I hope they take off. They look pretty good so far!